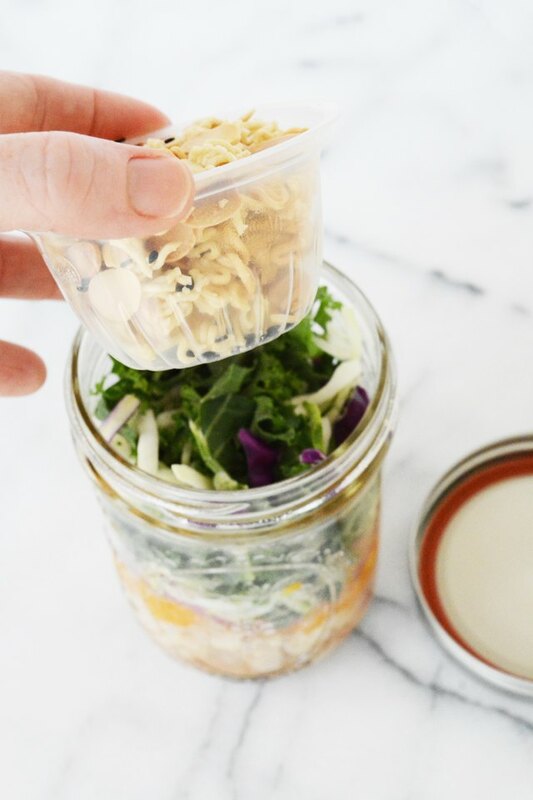 Did you know that all you need is one rotisserie chicken to make up to 10 lunches for a week of healthy eating? Between having three kiddos in school and a hubby who is a teacher, I have many lunches to pack. 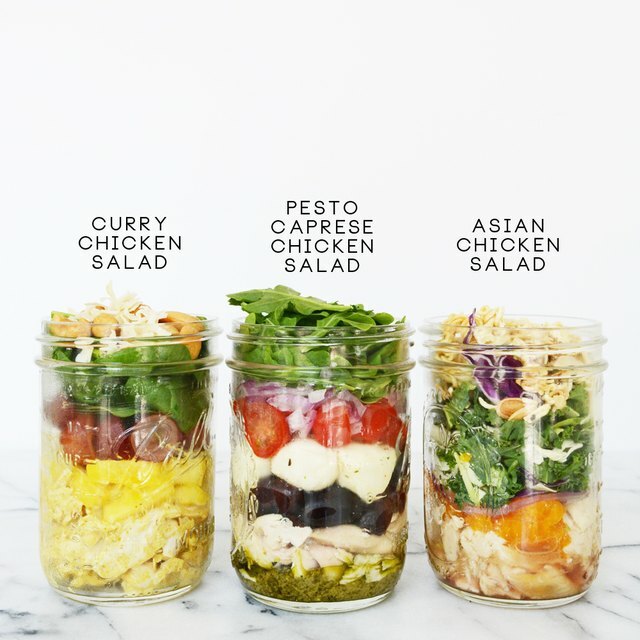 So, instead of resorting to PB&J every single day, I've created three healthy and delicious salads that can easily be assembled with one store-bought rotisserie chicken and some fresh veggies and fruit: Chicken Curry Salad, Pesto Caprese Chicken Salad, and Asian Chicken Salad. Make them on Sunday night, and have them ready to grab and go Monday through Friday. How easy is that? 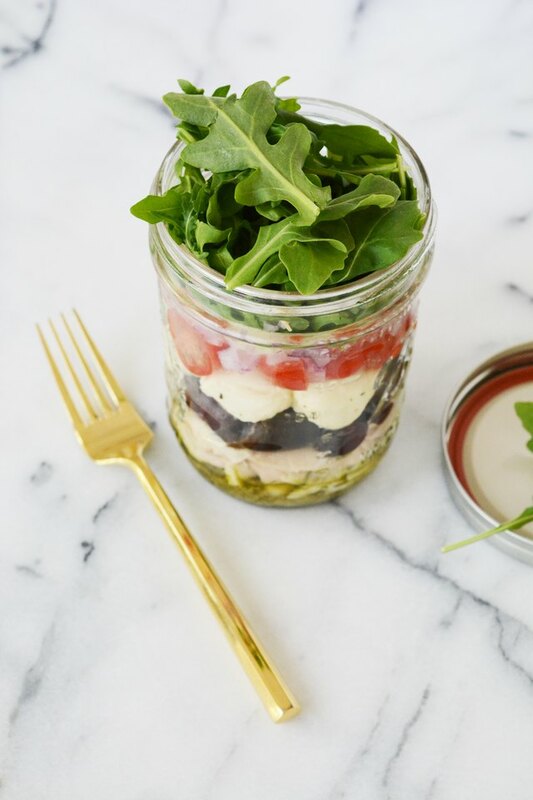 For each of these recipes, start with the dressing first, then the chicken, then heavier wetter ingredients and finally top with the leafy greens. 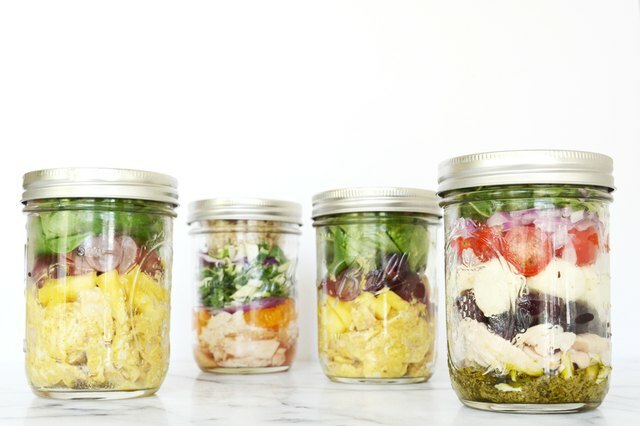 When finished assembling, seal the jars with lids and store in the fridge. Be sure to keep them all upright and not on their sides. 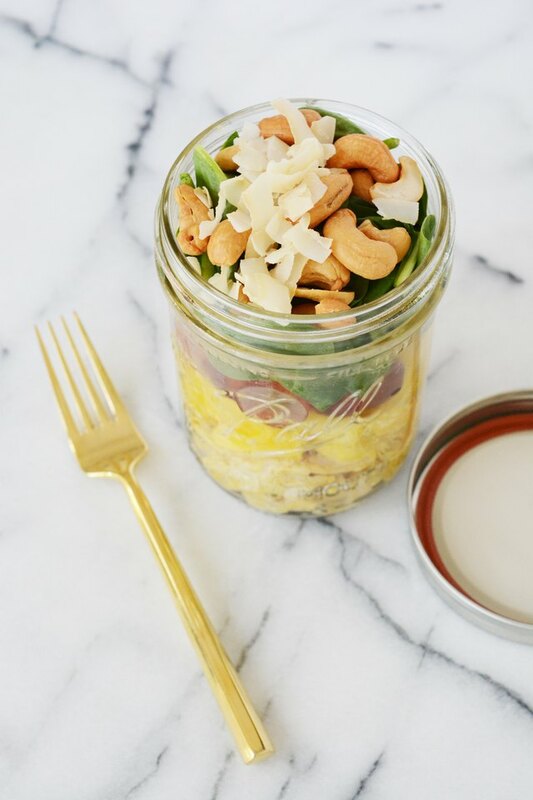 You want the dressing to stay in the bottom of the jar. Store for up to 4 days in the fridge. 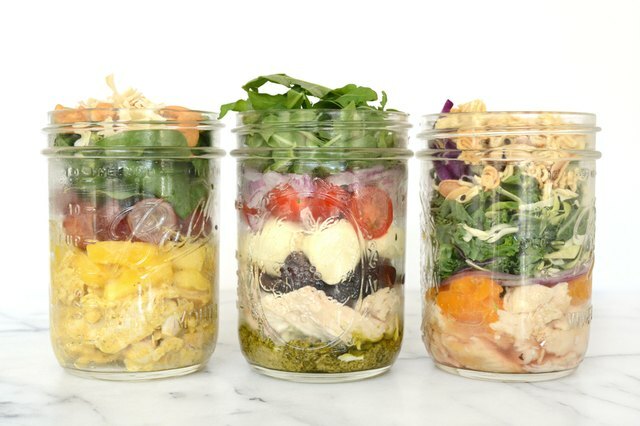 Each recipe makes 5 salads in a wide mouth mason jar. In a small bowl combine the mayo, lemon juice, salt and pepper. Add the chicken and toss in the dressing to coat all the meat. 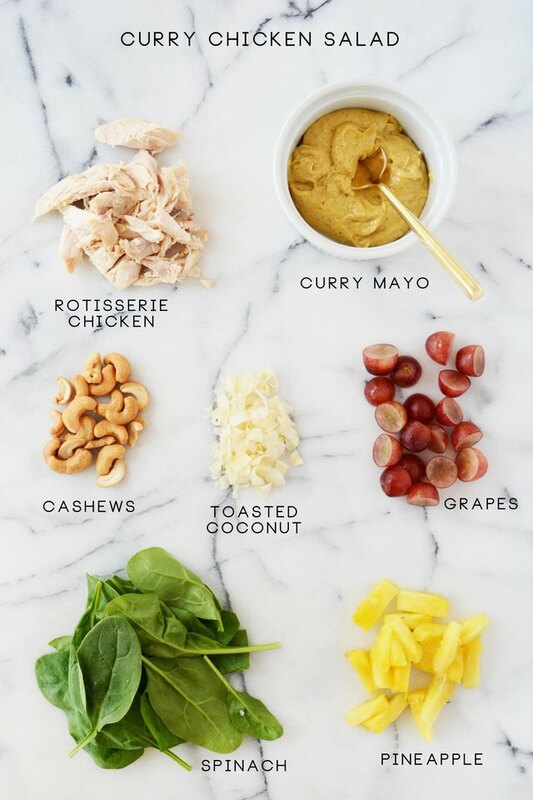 Layer the ingredients in this order: chicken, pineapple, grapes, spinach, cashews, coconut. In the bottom of the jar spoon in 1 to 2 tablespoons of pesto. 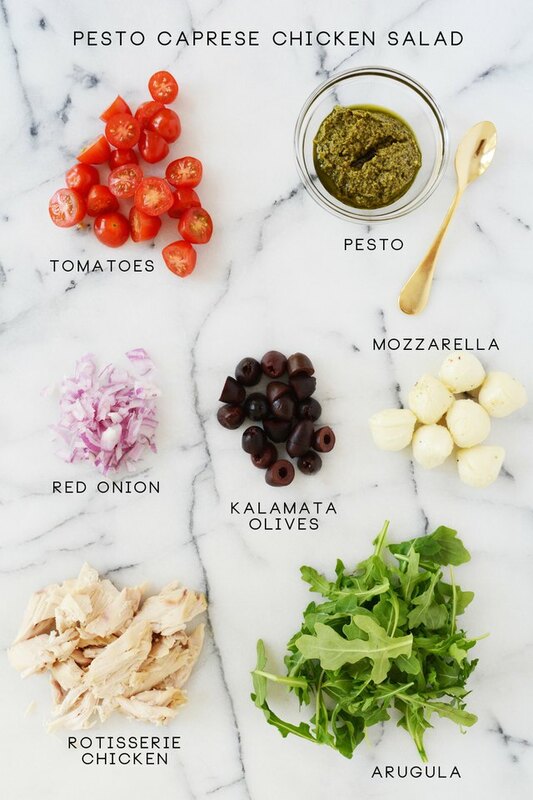 Layer the remaining ingredients in this order: chicken, mozzarella, olives, tomato, onion, and lastly arugula. 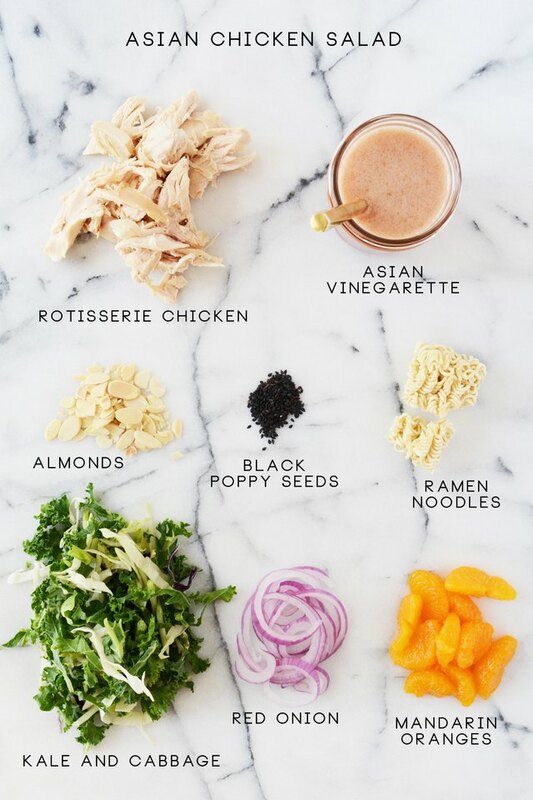 Start by making the dressing. In a jar, place the red wine vinegar, oil, ginger, sugar, sesame seed oil, and wasabi paste. Shake to combine. 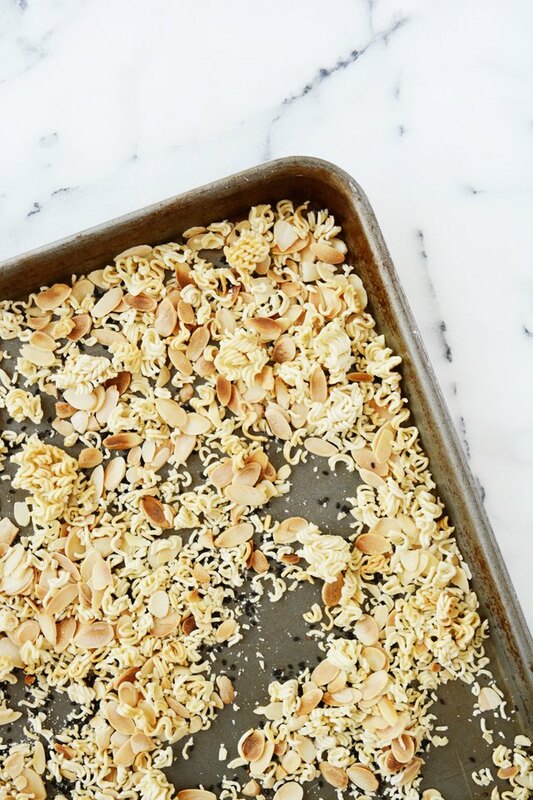 Crumble the ramen noodles and put them on a baking tray. Add the nuts and sesame seeds. 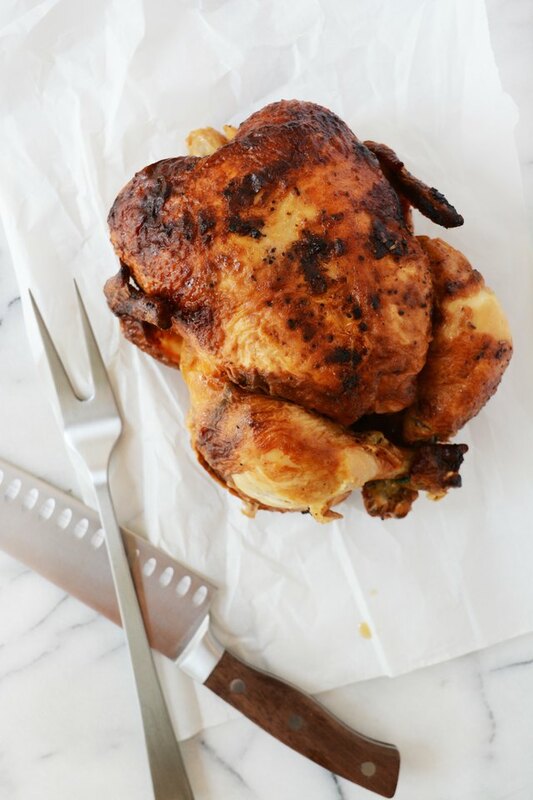 Place under the broiler for about 5 to 7 minutes, or until golden and crispy. Pour 2 tablespoons of the dressing in the bottom of a jar. 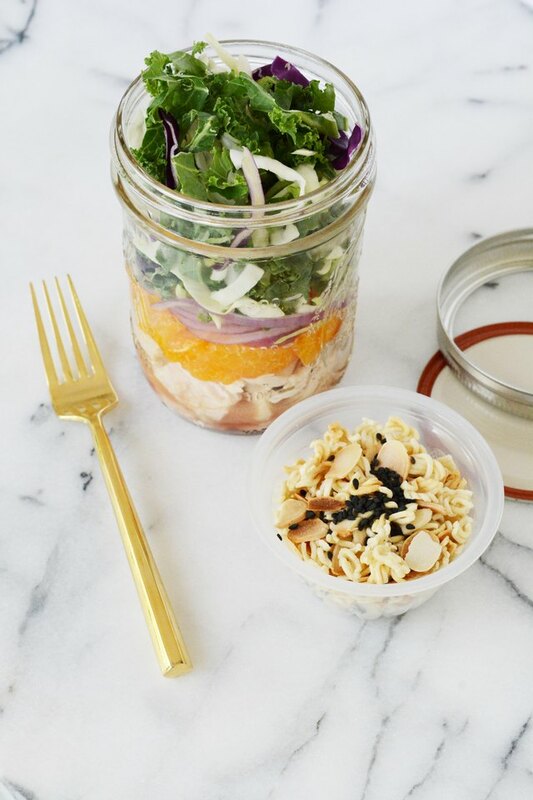 Layer the remaining ingredients in this order: chicken, mandarin oranges, red onion, and kale and cabbage. 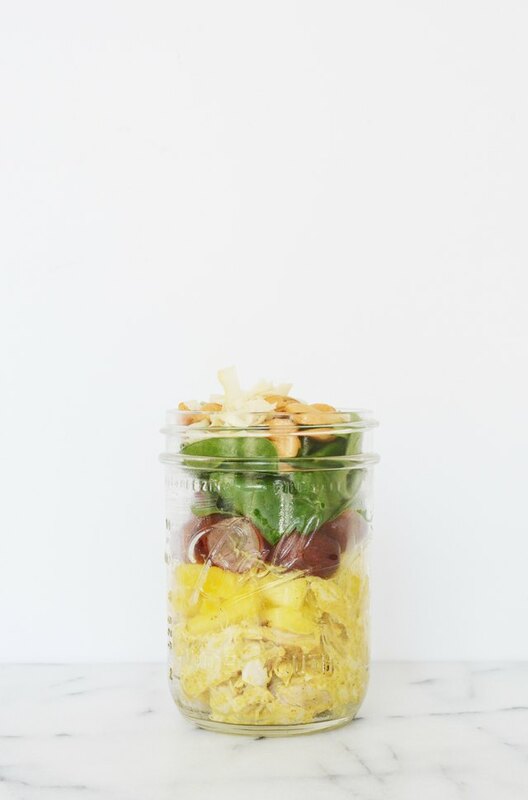 Use apple sauce or fruit cups for storing salad adds-ons that you want to stay crunchy. 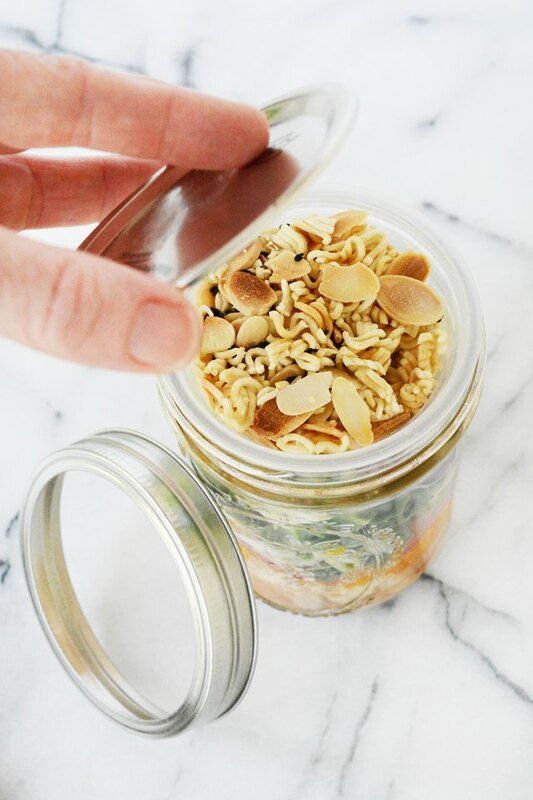 They fit perfectly inside on the wide mouth mason jars and the lid can be tightened over them. No excuses! 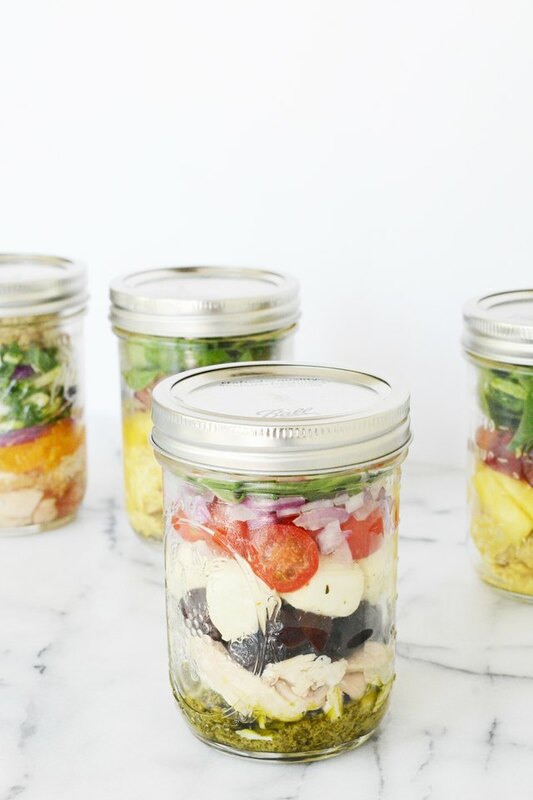 Now you lots of options for healthy lunches this year. Get your fridge stocked and ready for the week ahead.